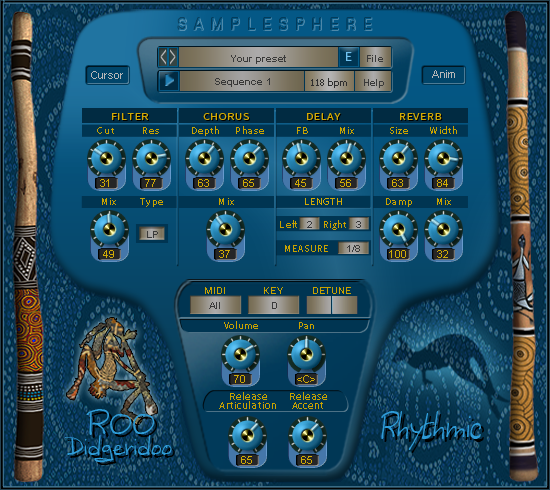 Samplesphere has announced that its ROO Didgeridoo and +ONE Tambourine are now available again but this time as free downloads. 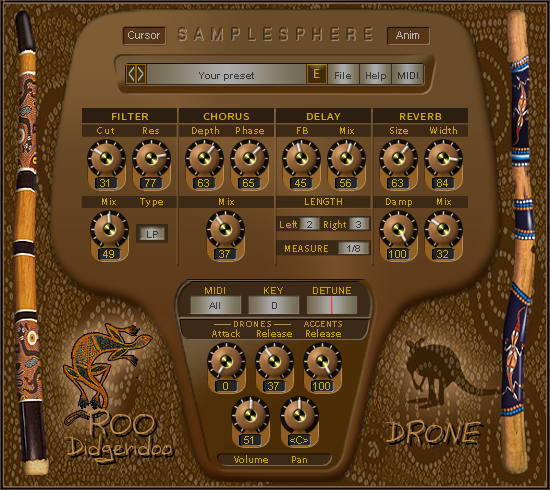 ROO Rhythmic is not loop based, making it very easy to create highly original, realistic didgeridoo rhythmic sequences. 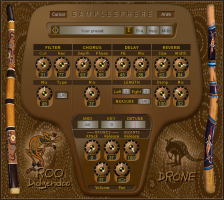 ROO Drone is loop based with all drones looping until release. Rhythmic: A - A# - B - C - C# - D - D# - E - F - F# - G - G#. Drone: G - G# - A - A# - B - C - C# - D - D# - E - F - F#. Filter: Low and High Pass. Delay: Host tempo aligned. Ping-pong or straight, depending on left and right settings. Player is for auditioning MIDI files before importing them to your project, it is not a performance tool. MIDI files can be dragged from the player browser window to a MIDI track of a host that supports this function. Example MIDI files for both Rhythmic and Drone are included. Files can be dragged from the browser window to a MIDI track of a host that supports this function. @Mundano .. these sound amazing!!! Thanx! heading page 50, let's go ppl, go go go ! contribute! My second attempt at reverbs, Tila turned out to be something that people found nice at very short settings. As such, this updated version keeps the algorithm but attempts to make it easier to tune those room reverbs. For hall-style algorithms look elsewhere. The left-hand section has settings for predelay, mid-frequency reverb time (RT60), initial diffusionand roomsize of the model. In the mid-section, upper row controls the high-frequencies above "high freq", while lower row controls the low-frequencies below "low freq". In both cases there is a reverb-time scaling constant (high/low scale; from 0.25 to 1.25) and up to 10dB of boost or cut (high/low EQ). Finally there are 6dB/oct lowpass (high cutoff) and highpass (low cutoff) filters, and an output level control for wet-signals. Dry-signals are passed through when mode is set to 'insert' and muted when set to 'send' (for use as 'insert' and 'send' effect respectively). 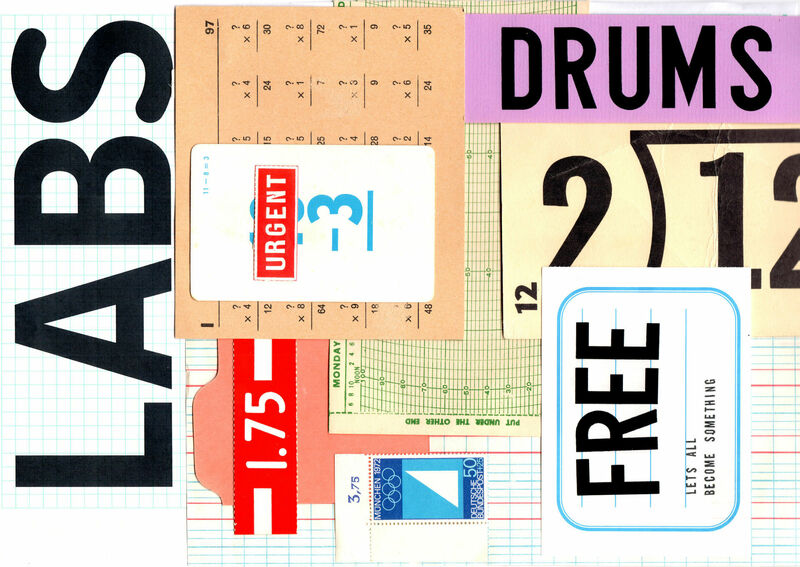 Download 650MB+ of free sounds! Subscribe to our newsletter and get 650MB+ of free sounds, exclusive discounts, news, tutorials and more. These are the possible harmony options. 3rd The typical major/minor chord harmony. 4th The same as the +5 semitones setting except a few notes are flat. 5th The same as the +7 semitones setting except the last note of the major scale is flat making it "diminished". 6th A nice sounding alternative to typical harmony intervals. 7th Dissonant 7th chord sounds. 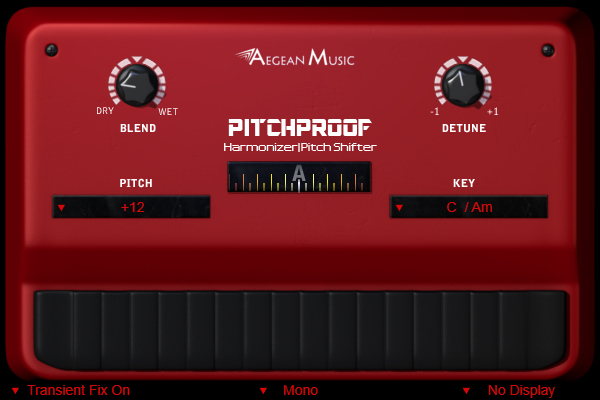 Like many old hardware pitch shifters Pitchproof works best with monophonic signals. Guitar solos work fine, and even power chords above a certain pitch. The maximum range is an octave up or down, or a little more with detune. Note the instructions above about harmonies and scales, playing in the wrong scale or off scale can be a little weird sounding. 5 easy steps to get started with Regroover! Adjust the Layers' controls and effects and remix your beats in seconds! For more features and workflows, check out our YouTube tutorials. Recorded at Spitfire HQ in 2012 using top-of-the-range mics, these drums showcase the talents of drummer Oliver Waton and engineer Stanley Gabriel. Play and program an awesome piece of kit — ba dum tss! Movie Dialogue #GM0018 Free Sample Pack is the latest free sample pack from GowlerMusic. Featuring 49 vintage spoken word samples from B-list movies and TV shows, this sample pack is a must have for any music producer or musician looking to add quality sound FX to their track. The samples are sourced from our previous movie dialogue collections including Horror, Cold War and Sci-Fi. What makes this freebie even more special is that 10 of the sounds are sourced from the upcoming Vintage Dialogue Preacher #GM0019 sample pack! So, if you are looking for a set of samples that make your track stand out from the crowd be sure to download Movie Dialogue #GM0018 today via the link below. 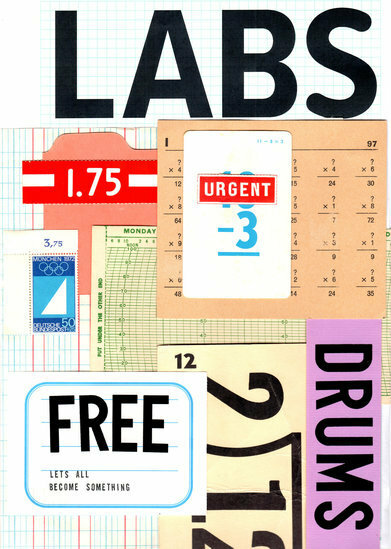 Check out our other free samples packs HERE! Over the years we have invested time and effort into creating a series of free sample packs for music producers and sound enthusiasts. These free samples cover a wide range of genres and include field recording, music loops and sound effects. Perfect for music production, film projects and everything in between. All samples are 100% royalty free and available for instant download via the links below. If you find these free sample packs useful then be sure to check out our premium sample packs here. 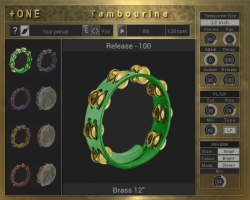 Our premium packs contain more samples and draw from and even wider range of sound sources. Some highlights include vintage movie dialogue and radio static! If you are looking for a demo of any of the above sample packs, then check out our bandcamp page. Here you can listen to the samples before you download them. Wavemid differs from other audio transcription/analysis programs by offering some unparalleled features. Our competitors base their software on Fourier analysis whereas we invented our own time-frequency transform, the Fundavis(tm). You will feel at home in the sequencer style interface, allowing continuous zooming, unlimited audio and MIDI tracks plus more. Load your audio to Wavemid and watch analyzation tools to do their magic. Standard MIDI output allows you to utilize results in other programs (please note Wavemid Free comes with real-time MIDI output only). 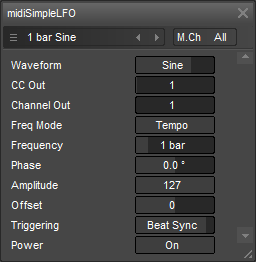 Wavemid Editor offers additionally an intuitive MIDI editor and meter analysis, allowing "snap to music". Wavemid Auto sports plenty of features geared towards professional use, including MBC Transcriber by Matti Ryynänen, meter exporting and more. In case you have any questions about Wavemid don't hesitate to send e-mail. please keep them to yourself since we don't currently sell this software. 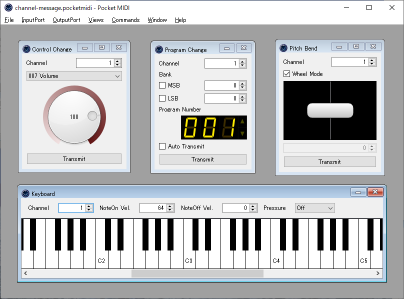 MidiEditor is a free software providing an interface to edit, record, and play Midi data. The editor is able to open existing Midi files and modify their content. New files can be created and the user can enter his own composition by either recording Midi data from a connected Midi device (e.g., a digital piano or a keyboard) or by manually creating new notes and other Midi events. 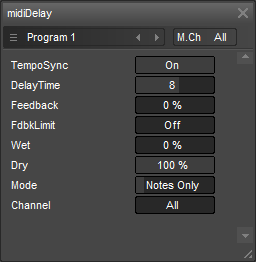 The recorded data can be easily quantified and edited afterwards using MidiEditor. MidiEditor was developed by Markus Schwenk. It is entirely written in C++ (Qt) and is available for the platforms Linux and Windows. Should MidiEditor be a software which is helpful for you and which you use often, please let the developer and other users know by providing feedback. 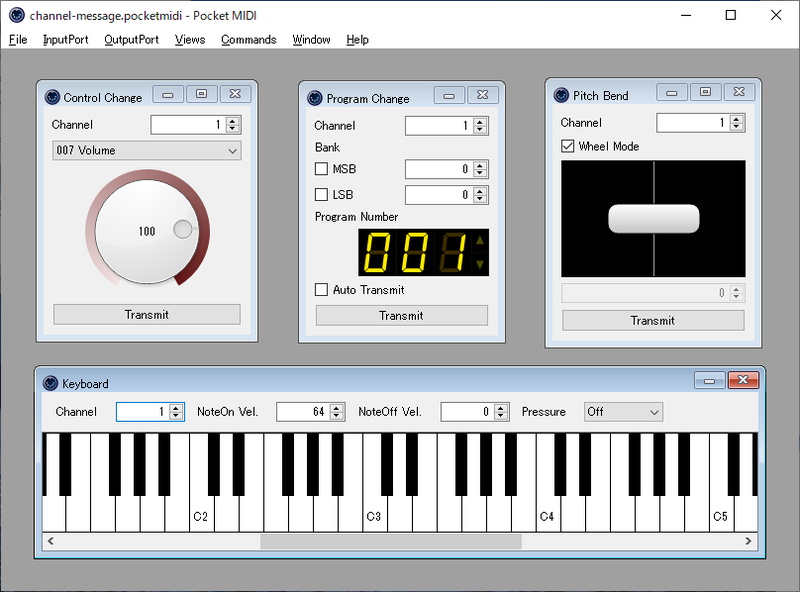 Moreover, the developer worked on MidiEditor in his (rare) sparetime and offers it for free. So, when you feel like it, pay him a coffee (or two). Please also feel free to contact the developer in case you have any ideas which could help to improve the editor or in the case you found any bugs you want the developer to fix. Please feel free to contact the developer if you have any suggestions! Please also reach out to the developer if you found a bug. Here you can find the project page on github. You will find the code and a way to provide feedback. Click here to support the developer. MIDI tool for instrument developers. 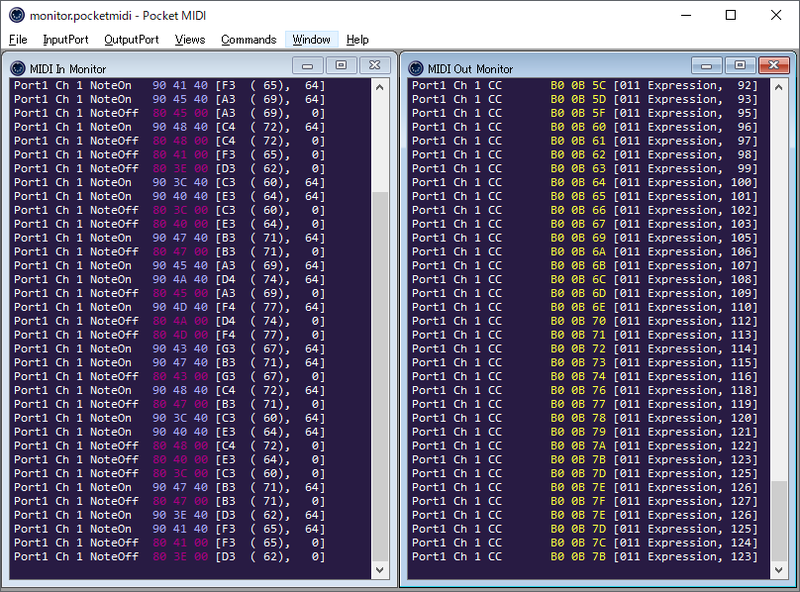 Pocket MIDI is a MIDI monitoring tool for Windows and Mac. Connect your MIDI instrument to computer using a USB or USB/MIDI adapter and you can monitor MIDI messages to and from your instrument in real time. You can also send message from the application to your instrument. Pocket MIDI is a freeware. Feel free to use it, be it commercial, non-profit, or simply for private use. Display MIDI streams in real time using the MIDI Monitor View. It has a MIDI In Monitor for the incoming messages, and a MIDI Out Monitor for outgoing messages. Use the MIDI Filter to filter and display desired messages. Send and receive system exclusive messages using the System Exclusive Message View. Send text-inputted messages, wait for messages from your instrument and receive messages in response to MIDI transmission to your instrument. You can also read messages from a text file, or save received messages into a text file. Send channel messages using the Channel Message View. Use any of the available specialized views for setting Note On/Off, Control Change, Program Change, Pitch Bend parameters and more. In addition, you can simultaneously open the same type of view for multiple channels, allowing you to simultaneously set multiple channel parameters. 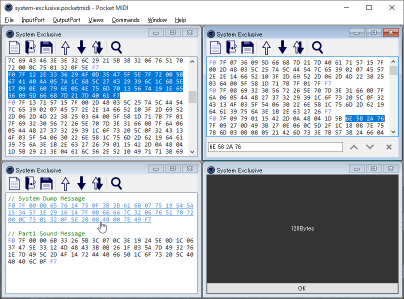 Virtual loopback MIDI-cable for Windows XP up to Windows 10, 32 and 64 bit. Multiclient USB MIDI driver for Windows XP up to Windows 10, 32 and 64 bit. Tool to display a virtual keyboard to send & receive Note-On and Off events. Tool to enumerate network-services which are advertised using Apple Bonjour™ / multicast DNS. 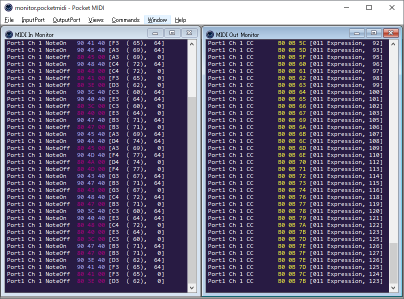 Generic ASIO-driver for WDM-kernel-streaming capable soundcards. All of the software downloadable on this site is free for private, non-commercial use. If you find the software useful, you can show your appreciation via the PayPal-button on the about-page of each program. MIDI Monitor is an app to display MIDI signals going in and out of your Mac. Musicians will find it handy for tracking down confusing MIDI problems, and programmers can use it to test MIDI drivers and applications. MIDI Monitor is free to download and use. The source code is available as Open Source, under the BSD license. SysEx Librarian is an app to let your Mac communicate with MIDI devices using System Exclusive messages, also known as SysEx. The most common use is to backup patch data from synthesizers, although there are others (such as sending firmware updates). It's easy to keep a library of the SysEx files you use most often, and to record new SysEx files. SysEx Librarian is free to download and use. The source code is available as Open Source, under the BSD license. !!! actually the BEST MIDI plugins !!! These are intended to be small, useful MIDI processing VST 2.4 plugins, and are available for Windows (32/64-bit), Linux (x86), and Mac OS X (PPC/x86, 32/64-bit), unless otherwise noted. They use the host-provided GUI for easy development. C++ source code is available via Google Code. midiCCModulator - Use one CC to modulate another CC (or note velocity) in various ways: add/subtract/multiply/etc, plus logic gates (AND, NAND, XNOR, etc). Not all VST hosts support MIDI VST plugins. Most do, some quite well, and others with certain complications. Renaming a plugin with "fx" in its name with force the plugin to load as a VST effect. By default they load as VST instruments. 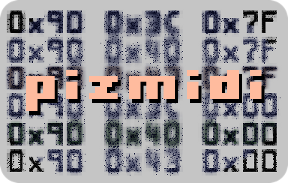 See pizmidi.ini for more options for configuring plugins globally or per host. The Plug-Ins you design are compatible with both RackAFX and any Windows VST2 or VST3 Client software. RackAFX lets you design Plug-Ins as Insert or Aux Effect types then use the analyzer to check your Frequency, Phase, Impulse and Step responses as well as view the inputs and outputs in time or frequency. 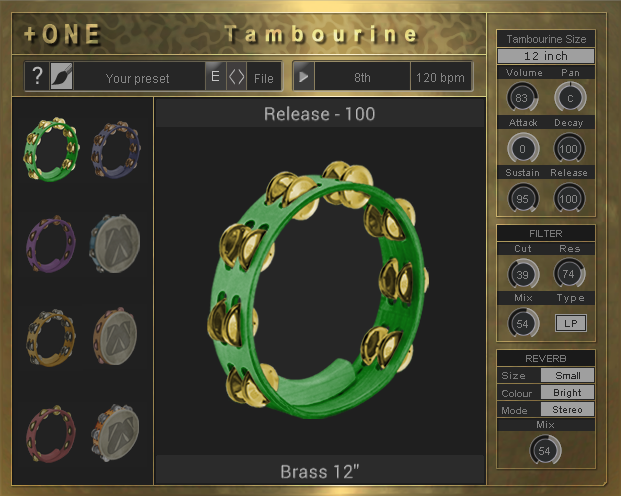 You can also design side-chained FX plugins as well. 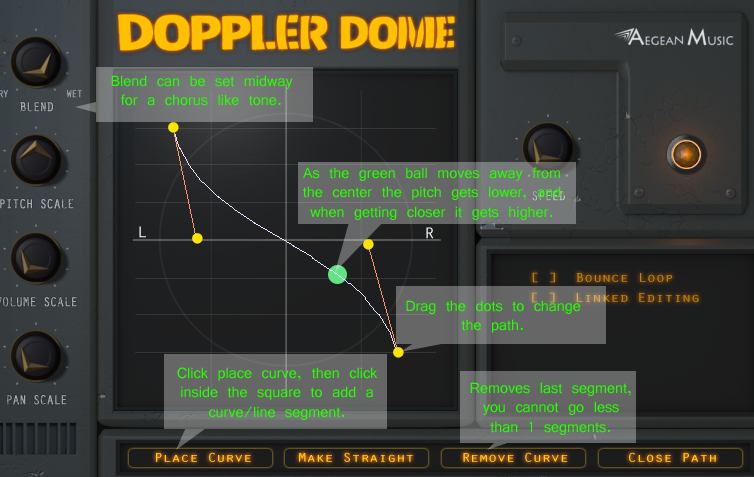 A built-in GUI designer lets you Drag-and-Drop GUI elements to create original interfaces. The GUI Designer API is extended to include many custom view options if you choose to add more complex designs. If you want to write and provide your own GUI, there are options for that as well. Full MIDI support is included. You can find out more about the Philosophy and History of RackAFX and why I bothered to create a new Plug-In API on the Philosophy Page.